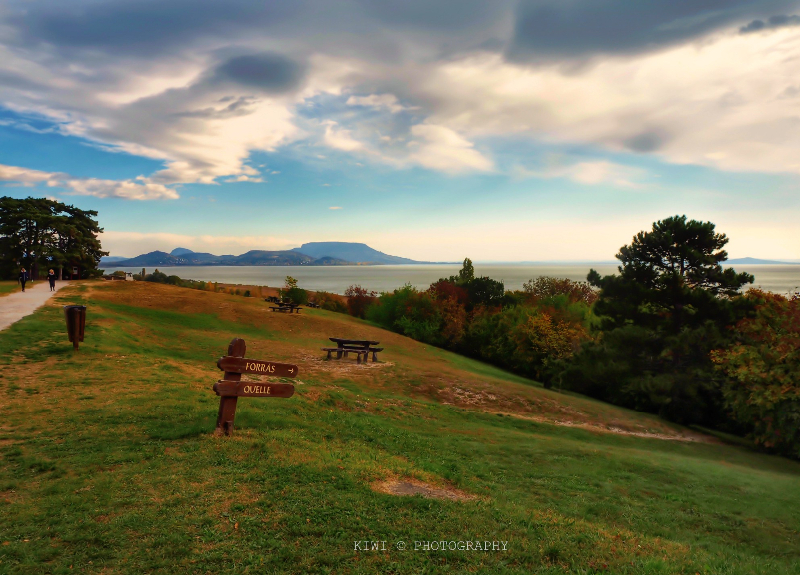 On the lookout hill parking lots, picnic tables and refreshments await the visitors. 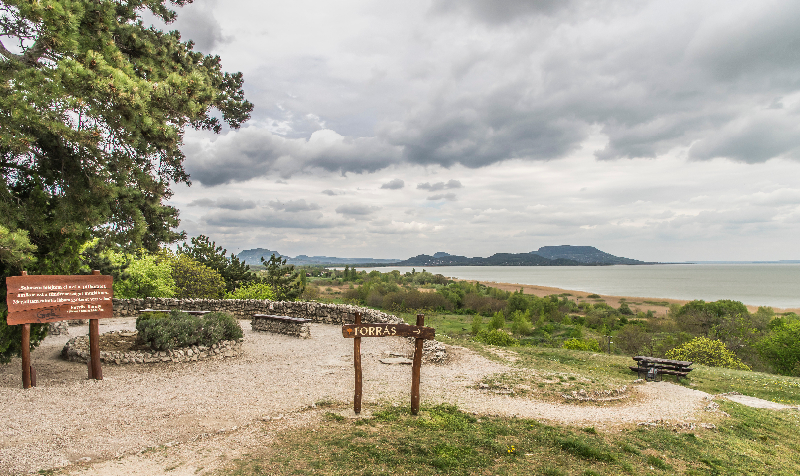 The lookout hill got its name from Károly Eötvös in 1855, who was inspired by the wonderful view from the top. 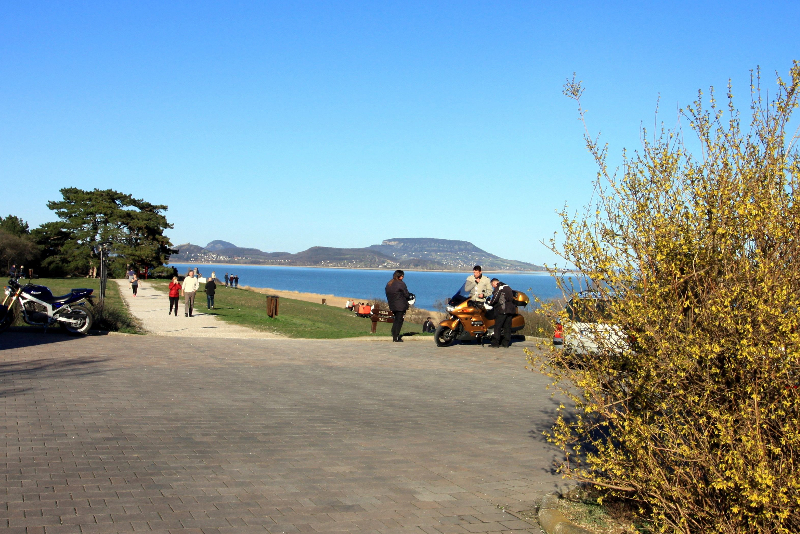 The walkway on the hill leads up to the newly renovated Roman spring. 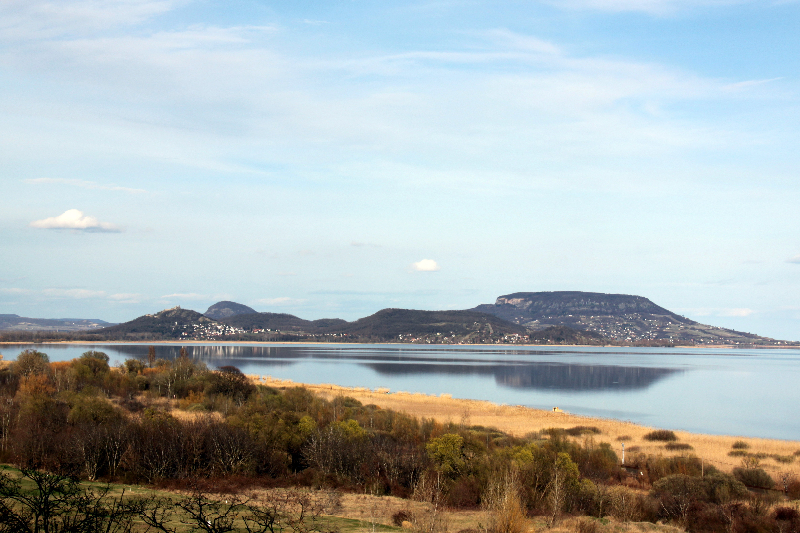 Panorama in the world. 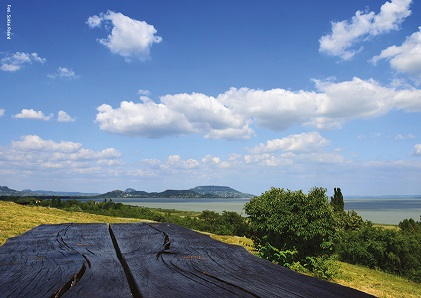 The lookout hill (Szépkilátó) is the gate of West Balaton and not only in geographical sense. 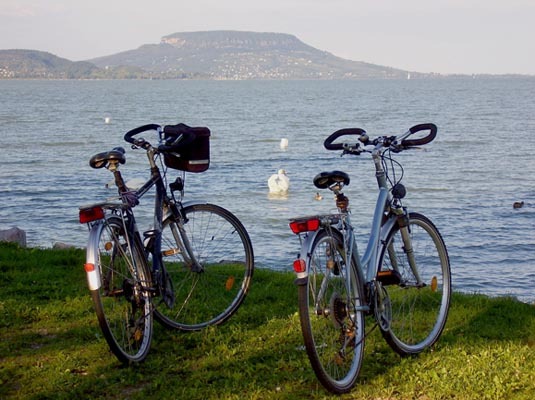 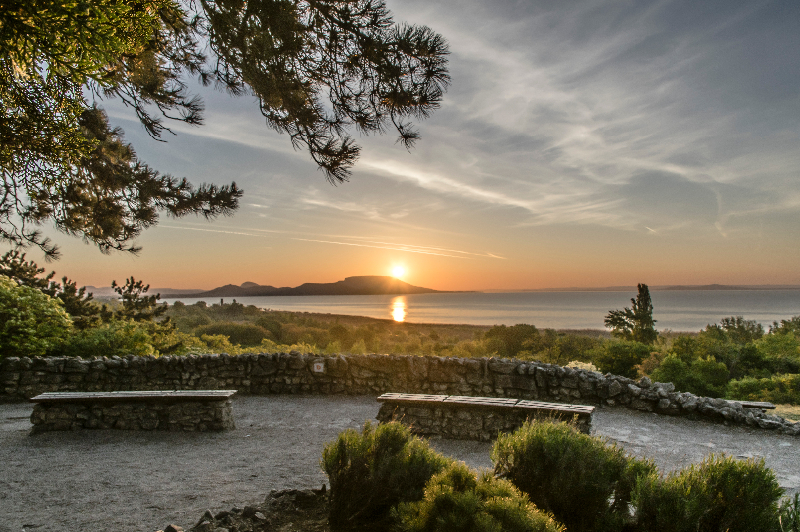 Visitors are always stopped by the sheer beauty of Lake Balaton, the Tapolca-basin and the nearby emerging mountains of Badacsony, Szigliget and Szent Gyögy-hegy. 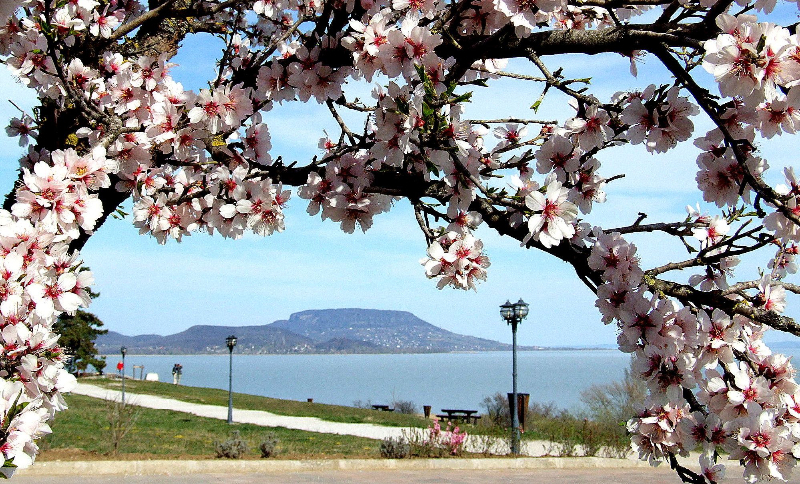 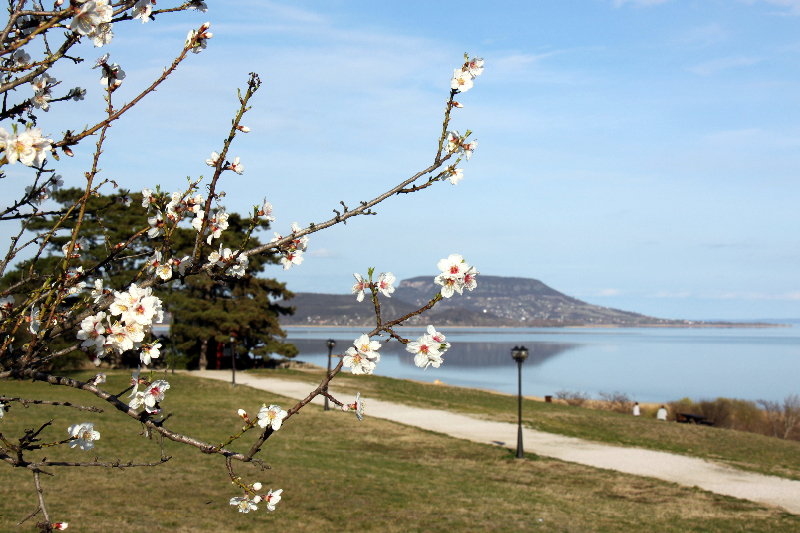 Lake Balaton looks brilliant with its ever- changing colour and enriches the admirer with new experience each day.